August 26, 2015 — Cardiovascular emergencies such as acute aortic syndromes need to be diagnosed quickly. Fortunately, mobile devices such as the iPhone can be used for on-the-go diagnosis and triage of patients with these life-threatening conditions, according to an article published online August 3 in the Journal of Cardiovascular Computed Tomography. In a study involving more than 100 cases of suspected acute aortic syndromes, a multidisciplinary team from the Cleveland Clinic found that Apple’s iPhone 5 yielded high levels of sensitivity and specificity, compared with interpretations on conventional PACS workstations and with the final patient diagnosis at discharge. With lives on the line in cardiovascular emergencies, it’s critical to have rapid interpretations of CT angiography (CTA) studies. The researchers sought to assess the diagnostic utility of a mobile device used by experienced cardiovascular imaging specialists for offsite diagnosis of acute aortic syndromes. To do this, they studied 104 consecutive patients who had received CTA studies for suspected acute aortic syndromes during on-call hours between January 2013 and August 2014. Blinded to each other’s interpretations, two subspecialized cardiovascular imaging physicians used Xero image viewing software (Agfa HealthCare) running on an iPhone 5 to assess the exams. Reader A had 13 years of cardiovascular and thoracic imaging experience, while reader B had eight years of experience. Their interpretations were then compared with the subsequent reads performed by other cardiovascular imaging specialists on dedicated stationary PACS workstations, as well as the patient’s diagnosis at discharge. Cardiovascular and thoracic emergencies were defined according to department guidelines for findings that trigger critical results pathways. Such emergencies included aortic dissection, aortic rupture, leaking aortic aneurysm, cardiac tamponade, large pulmonary embolus, and pneumothorax. Of the 104 CT angiography studies, 27 were positive for an acute abnormality, and 22 of these had acute aortic dissection. Two patients had a contained aortic rupture and three patients had a pulmonary embolism. The researchers estimated sensitivity by calculating the proportion of true positives among patients with an acute abnormality, while specificity was estimated as the proportion of true negatives among patients who didn’t have an acute abnormality. Reader B missed four acute cases, including a missed submassive pulmonary embolism that was also missed by reader A. The results demonstrate that mobile image access can feasibly be used for on-call triage of patients being evaluated for suspected acute aortic syndromes, according to Matar and colleagues. They acknowledged, however, that while diagnostic accuracy was good, it did not reach the accuracy level of a dedicated stationary workstation. Furthermore, there were differences between observers. As most patients with cardiovascular emergencies present to community hospitals, it’s important to have a prompt diagnosis to ensure timely transfer to tertiary care centers, the group noted. Implementing mobile image access within a larger acute aortic syndromes network could have a significant effect, “in particular if remote image upload into the central PACS server will eventually replace the currently still common means of exchanging imaging data between two facilities or healthcare providers on compact disks (CDs),” they wrote. JACC Cardiovasc Imaging: Prognostic Impact of Hypertrabeculation and Noncompaction Phenotype in Dilated Cardiomyopathy: A CMR Study. Prognostic Impact of Hypertrabeculation and Noncompaction Phenotype in Dilated Cardiomyopathy: A CMR Study. Amzulescu MS, Rousseau MF, Ahn SA, Boileau L, de Meester de Ravenstein C, Vancraeynest D, Pasquet A, Vanoverschelde JL, Pouleur AC, Gerber BL. The purpose of this study was to evaluate the impact of hypertrabeculation and left ventricular (LV) myocardial noncompaction phenotype by cardiac magnetic resonance (CMR) on outcomes of patients with nonischemic dilated cardiomyopathy (DCM). Myocardial trabeculations and noncompaction are increasingly observed in patients with DCM, but their prognostic impact remains unknown. We prospectively evaluated outcomes of 162 consecutive patients (102 men; age 55 ± 15 years; ejection fraction [EF] 25 ± 8%) with DCM undergoing CMR. The amount of noncompaction was quantified as noncompacted/compacted (NC/C) length in the long-axis view and as the ratio of NC/C mass in the short-axis view and compared against 48 healthy control subjects (age 60 ± 10 years). Fifty-eight DCM patients (36%) had NC/C length ≥2.3, and 71 (44%) had NC/C mass greater than the 95% confidence interval (CI) of control subjects. NC/C length and NC/C mass did not correlate with any clinical, echocardiographic, or CMR parameters. Over a 3.4-year median follow-up, 29 patients experienced major adverse cardiovascular events (MACE) (12 cardiovascular deaths, 8 heart transplantations, 4 LV assist device implantations, and 5 resuscitated cardiac arrests or appropriate device shocks). Cox univariate analysis identified smoking, New York Heart Association functional class, blood pressure, LV and right ventricular end-diastolic and end-systolic volumes, LV EF, right ventricular EF, and late gadolinium enhancement as predictors of MACE. In multivariate analysis, only LV EF and late gadolinium enhancement were independent predictors of MACE-free survival (hazard ratio: 0.922, 95% CI: 0.878 to 0.967, p = 0.001 and HR: 1.096, 95% CI: 1.004 to 1.197, p = 0.04, respectively). Neither NC/C length nor NC/C mass had significant predictive value for MACE-free survival, either unadjusted or after adjustment for baseline variables. Also, there was no difference in cardioembolic event rate between groups with high and low NC/C length or mass. Cardiovascular outcomes of adult patients with nonischemic DCM do not appear to be influenced by the degree of trabeculation. This argues against a noncompaction phenotype designating a more severe form of DCM. Eur Heart J. 2015 Jul 21;36(28):1831-8: Digoxin-associated mortality: a systematic review and meta-analysis of the literature. Digoxin-associated mortality: a systematic review and meta-analysis of the literature. Vamos M, Erath JW, Hohnloser SH. Eur Heart J. 2015 Jul 21;36(28):1831-8. 1Department of Cardiology, Division of Clinical Electrophysiology, J.W. Goethe University, Theodor-Stern-Kai 7, 60590 Frankfurt am Main, Germany. 2Department of Cardiology, Division of Clinical Electrophysiology, J.W. Goethe University, Theodor-Stern-Kai 7, 60590 Frankfurt am Main, Germany hohnloser@em.uni-frankfurt.de. There are conflicting data regarding the effect of digoxin use on mortality in patients with atrial fibrillation (AF) or with congestive heart failure (CHF). The aim of this meta-analysis was to provide detailed analysis of the currently available study reports. We performed a MEDLINE and a COCHRANE search (1993-2014) of the English literature dealing with the effects of digoxin on all-cause-mortality in subjects with AF or CHF. Only full-sized articles published in peer-reviewed journals were considered for this meta-analysis. A total of 19 reports were identified. 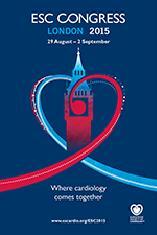 Nine reports dealt with AF patients, seven with patients suffering from CHF, and three with both clinical conditions. Based on the analysis of adjusted mortality results of all 19 studies comprising 326 426 patients, digoxin use was associated with an increased relative risk of all-cause mortality [Hazard ratio (HR) 1.21, 95% confidence interval (CI), 1.07 to 1.38, P < 0.01]. Compared with subjects not receiving glycosides, digoxin was associated with a 29% increasedmortality risk (HR 1.29; 95% CI, 1.21 to 1.39) in the subgroup of publications comprising 235 047 AF patients. Among 91.379 heart failure patients,digoxin-associated mortality risk increased by 14% (HR 1.14, 95% CI, 1.06 to 1.22). The present systematic review and meta-analysis of all available data sources suggest that digoxin use is associated with an increased mortality risk, particularly among patients suffering from AF.